The first three months of 2017 have been extremely productive here at Fearghas Quinn Hearse and Limousines. Our County Antrim factory hasn’t cooled since the Christmas break and here are a few notable vehicles from the past 3 months. Fitzgerald’s of Rush, County Dublin and Condons of Clonmel, Tipperary each collected a new 5-door Buick Hearse. 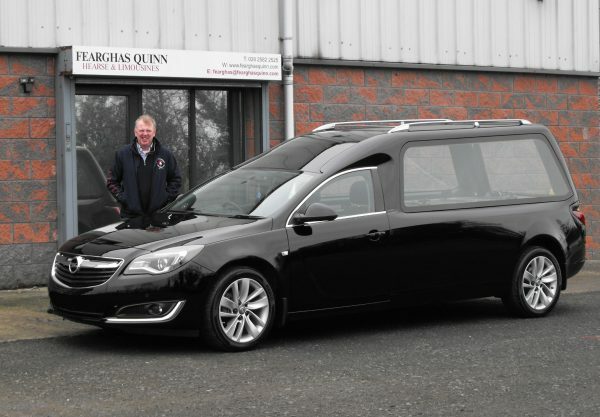 These vehicles have been proving very popular in Ireland as many funeral directors see the Buick kit as an extra which lifts their vehicle from the standard Opel or Vauxhall hearse into something a little different and eye-catching. Pepperdine Barrett of Manchester and Ward’s Funeral Directors of County Monaghan each took the keys to newly built Mercedes-based E-Class hearses. Both of these vehicles were finished to our usual high standards and included a number of extras, including our classic deck, strobe lights and deluxe roof rails. Pat Keller of Keller’s Funeral Home, Nenagh received his newly built Insignia 3 Door Hearse. These vehicles are incredibly popular this year with a large number of orders from funeral directors jumping at the fantastic value for money compared to other new 3 door hearses. 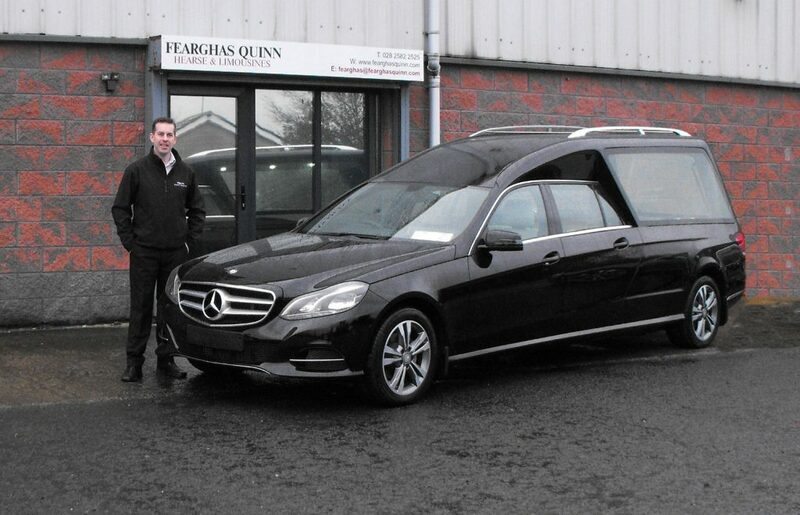 Hudsons Funeral Directors, County Wicklow collected a spectacular 3 door E-Class hearse from our County Antrim base. An eye-catching mix between classic and contemporary styles, this vehicle will be one to look out for. 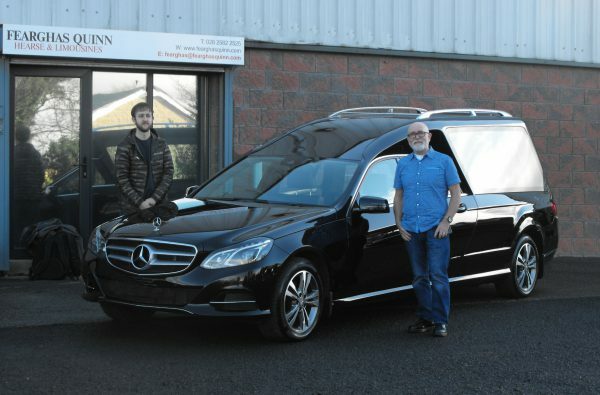 And most recently, Brian McElroy Funeral Directors of Dublin collected two E-Class 5 door hearses furnished with custom chrome plates and interior lights, alloy wheels, strobe lights and classic deck fittings. This has led to two stunningly unique vehicles, perfect for McElroy’s fleet. With an unprecedented number of orders coming in from both Ireland and the UK, we’ve increased our workforce and expanded our factory in Northern Ireland to meet demand. 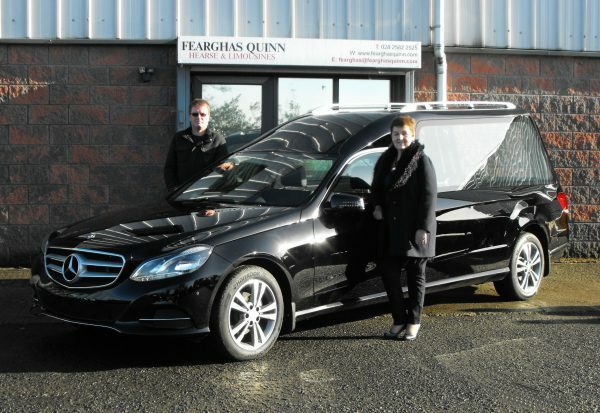 Our continuing investment in people, infrastructure and new technologies looks to be leading to a busy 2017 and with orders already for 2018, we at Fearghas Quinn Hearse and Limousines hope to have many more happy funeral directors over the coming months and years.